Celebrate the holidays Pacific Northwest style in Seattle. Visit a Gingerbread Village fit for a wizard. Sing along from the shore and welcome the Christmas Ship. Shop local in one of Seattle’s charming neighborhoods. All of these events are fun, affordable, and perfect for the whole family. The Seattle Center celebrates Winterfest from November 25 – December 31. Winterfest includes free, affordable family fun for everyone. This is the time to ice skate at the Winterfest Ice Rink. Other activities include ice sculpting, the winter train and village, and a number of live performances. Check out the full schedule of Winterfest activities here. Every year the Sheraton Seattle showcases the Gingerbread Village in the lobby. This year the theme features your favorite wizarding worlds. The village is created and designed by several local architectural firms and the culinary teams. Visitors will have the opportunity to vote on their favorite display. This larger then life magical display is open to the public from November 22, 2016 through January 1, 2017. Now in it’s 24th year, this is a great family friendly activity. The Sheraton is located on 6th Ave downtown. 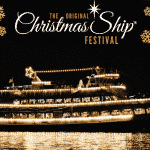 Every year Argosy Cruises sponsors the Christmas Ship Festival in Seattle and the Puget Sound. This festival has been a local tradition since 1949. The ship stops at more than 65 communities around the sound and delights those on shore with 20-minute choral performances at each stop. Communities eagerly await the festive Christmas ship gathering around roaring bonfires. You can join the celebration by cruising on the lead boat. This 2-hour cruise includes choral performances, the chance to meet with Santa, and other holiday activities. Spots on the lead ships book up fast, so check the availability here. The first sailing is Friday November 25 and the final sailing is Friday, December 23. Check out the scheduled sailings and performances spots here and plan to join in this Pacific Northwest tradition. 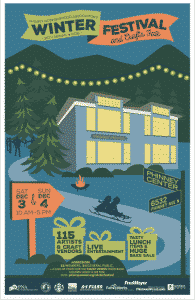 On December 3 and 4 from 10:00 am – 5:00 pm celebrate the holidays in the Phinney Ridge neighborhood in north Seattle. Each year the Phinney Neighborhood Association sponsors a huge winter craft fair that features plenty of food, live entertainment, and over 115 local vendors. All proceeds support PNA programs. More info here.